I once read that when times are tough women buy lipstick. It is a small item that (usually) costs next to nothing and can make the world of difference to how you look and subsequently how you feel. My favourite example is during the war (both WWI and WWII) and money was short: Women replaced their stocking/pantyhose with eyeliner lines drawn down the back of their legs and wore lipstick to feel feminine, desirable and poised- both affordable make-up items. 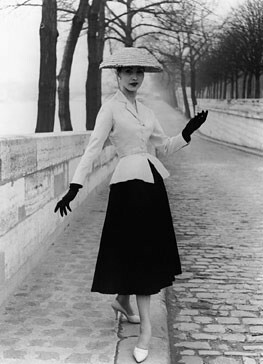 The same happened after the wars (especially after WWII) when the men returned and were unable to find jobs and again, budgets were tight: Christian Dior’s “New Look” (see images below) was introduced and bright red lipstick became the popular accessory owned by most women. I love how fashion is a mirror image of society and social economics. Underwear. It does not have to be fancy, just new. Bring ‘n Braai. Rather than throw a dinner party, ask your guests to all bring something. A nice soap or bath salts. There is nothing nicer than relaxing in a bath of luxury. Going to the movies on half price night. In all transparency, it is simple escapism and for one hour you can forget about your worries and for the small price, it is worth it. A new pair of earrings. A little bit of bling goes a long way. Buying a new nail polish (but again this is a cosmetic). It is cheaper (and more fun) to spoil yourself by asking you sister, daughter or best friend to give you a manicure with your new nail polish (and the deal usually means you have to do it back so you both feel great). An interesting one is getting your car cleaned. I had this discussion with a friend a few days ago and we concluded that whether it is a luxury is decided by your gender. He argued that he enjoys washing his car becuase he is proud of it, whereas if I had the extra money, I would (without a doubt) pay for somebody to clean my car. To me getting it cleaned is a luxury but to him, not. This entry was posted in Blog and tagged dress, Fashion, money, WWII. 1- It is true, although sometimes, certain days of the month , nothing beats those old comfy granny type undies! 3-Stopped doing it when I started to feel guilty for throwing away too much water. Freakink consicence! 6-Since I started doing ceramics and wet felting on a (almost) daily basis, I stopped giving myself or getting manicures… you reminded me now! 8- car cleaning… psychoanalysis has said so much about men who feel proud of their cars as if they were an extention of them… say no more. My car should be a nice place to be in, but -again eco reasons- wasting all that drinking water in cleaning my car every week when there are people dying just for now having a drink of clean water… no. Ideology does not allow me to do this. Now, to the point you are trying to make… yeah… I woould have someone else doing it, not so interested in cleaning…anything for that matter! least fave chore! I re read the list and I sound like Im standing on my soap box giving an eco speech… forgive moi. Not the intention. But yes, little things can improve your life…isnt happiness in small things? 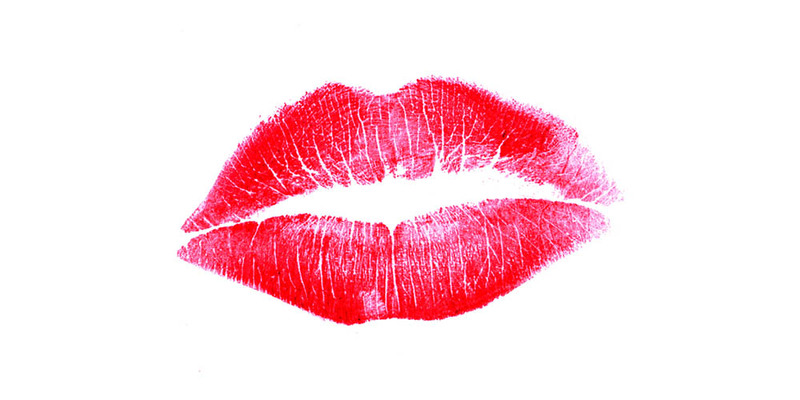 Its totally true about lipstick, I sell make up and my sales have actually PICKED UP since the economy downturn. I have to agree 100% to that list! Those are all of the things that my SO and I have found ourselves doing. Gelato is our favorite, cleaning his car is his favorite. While I’m at the University he’ll spend five hours detailing it. Great and true post again,Wendren!Have a nice and sunny weekend! Guess you cannot have everything even if they are only small treats.